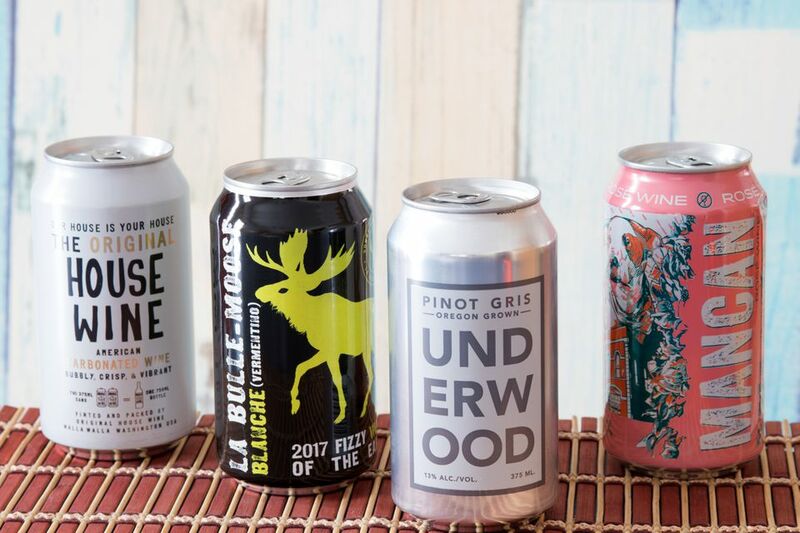 Canned wine may seem like a gimmick to sell wine in convenient packages. You might even think that cans are reserved for poor-quality wines. Neither of those assumptions is true, in fact, and there are some downright impressive options that will quickly get you on-board with this growing trend. While they may come in aluminum cans, the vessel imparts no residual taste. In fact, really good canned wines are nearly indistinguishable from their bottled counterparts. You can find red, white, rosé, still, and sparkling canned wines made from all varietals of grapes. Portability is the biggest advantage here: There's no fear of broken glass or forgetting the corkscrew when you take it to the beach or on a picnic. Cans also let you take wine to those outdoor locations where glass is banned, like many camping sites. You do, however, need to keep serving size in mind when enjoying this easy-to-pack beverage. Canned wines are typically sold in four-packs of 12-ounce cans, though some are smaller. That means one can is 375 milliliters, which is half a normal wine bottle. Since wine is typically at least twice the strength of beer, you'll want to avoid drinking it with a "beer can mentality," because you may become unexpectedly drunk! If it helps put you in the right mindset, take some cups on your journey and share! 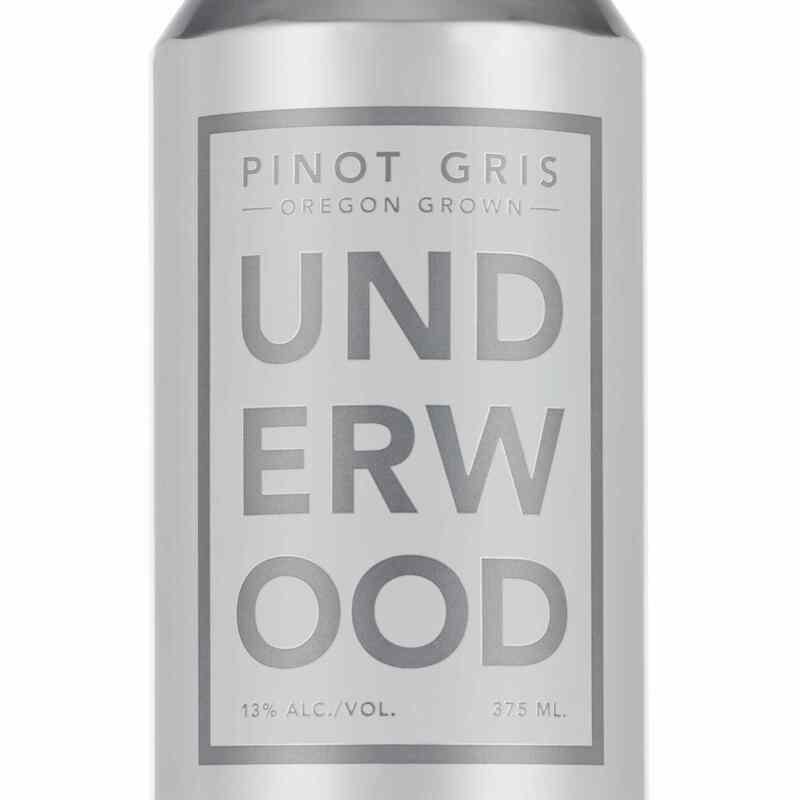 One of the first canned wines everyone should try is Underwood Pinot Gris. If you were to pour this Oregon white into a wine glass and hide the can, most people would guess it came from a bottle. This is a classic example of Pinot Grigio: Crisp, bright, and silky, with a wonderfully fruity bouquet of apples, lemons, and pears. That makes it a perfect picnic wine, pairing wonderfully with the foods you'd pack for the park. As you might imagine, white wines are popular selections for cans, so it's only natural that another Pinot Grigio would make the list. This California offering from Dark Horse also includes Viognier and Riesling grapes, which impart crisp citrus flavors. Pack a cheese platter to-go, and enjoy your wine with a sunset snack. What's great about canned wine (besides everything) is accessing the flavors of your favorite bottles without the stuffy attitude. Porch Pounder Chardonnay is an excellent example. The can has a fun vintage-style label that's as laid-back as the single appellation California Chardonnay within. You'll certainly appreciate the refreshing acidity of Porch Pounder's tropical fruit notes on a hot summer day. It's an excellent companion to a summer fruit salad, or a hot dog fresh off the grill. Worry not, red wine-lovers: You're not left out of the canned wine scene. One to try is Nomadica Red Blend. Made primarily from Petite Sirah grapes with a hint of Zinfandel, this blend offers sweet blackberry flavors and summery floral overtones. This exuberant wine begs to be served with a perfectly grilled steak. It's the perfect single size as well: 250 milliliters, or 8.4 ounces—one-third of a bottle of wine. Another California red worthy of note comes from The Drop, and is simply called Red Wine. This full-bodied red is produced from a blend of Zinfandel, Syrah, and Petite Sirah grapes. This wine also tastes like it was poured from a bottle, with super-smooth raspberries and cherry notes, and a fantastic punch of black pepper. Enjoy it with something fresh and spicy, like halibut tacos with spicy slaw. If you can't smile at the name Mancan, canned wines might not be right for you! As the cheery pink can implies, you'll find an easy-drinking rosé inside, made from a blend of California Chardonnay and Zinfandel grapes. The wine features fun, strawberry-kissed watermelon flavors, perfect for chicken and veggie kebabs. Everyone will fall in love with this rosé, even tough guys who usually pass on the pink! Sofia Brut Rosé is a smaller serving of The Family Coppola's bottled sparkling rosé, and you'd never know the difference. This peach-hued wine is a Pinot Noir and Chardonnay blend from California, that's as crisp and effervescent as its packaging. This rosé expresses the sweet flavors of summer fruits, like strawberries and peaches, alongside a graceful, spicy clove note. It comes in small 187-milliliter (6.3-ounce) cans, an ideal serving size and excellent pairing for fruity entrées like seafood mango stir-fry and green goddess chicken pasta salad. House Wine Brut Bubbles is an excellent choice for a sparkling white wine on the dry side. It's a blend of white grape varietals from Washington, and is the same wine you'll find in the winery's bottled Brut Bubbles. The bright wine has delicious notes of green apple infused with citrus, and the perfect amount of fizz. It can pair with nearly any food, but give it a try with simple, fresh dishes like feta avocado toast or a Caprese sandwich. The fizzy wines in a can just don't stop! That's excellent news for your summer adventures, because there are countless fantastic finds out there. Another you'll want to add to your list is La Bulle-Moose Blanche, from Bonny Doon Vineyard. This vivacious, dry bubbly is made from California Vermentino grapes, with flavors of sun-kissed lime and apple. Serve it well-chilled alongside a plate of tuna sushi rolls or with a luscious chocolate mousse for dessert. If you enjoy a lively Italian prosecco, Lila Sparkling is the canned wine for you! It's light and refreshing, offering semi-sweet flavors of peach, citrus, and honeysuckle backed by a waterfall of bubbles. This one also comes in 8.4-ounce (250-milliliter) cans and should definitely be enjoyed with the most indulgent of strawberry desserts. What Are the Best Spanish Wines Under $20?